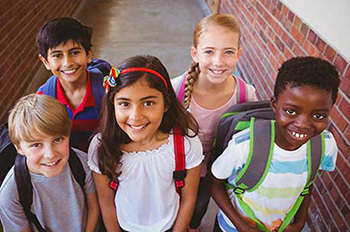 The Region 9 Education Cooperative coordinates the use of Medicaid reimbursement funds to improve health related services for all children in the seven member school districts including Capitan, Carrizozo, Cloudcroft, Corona, Hondo, Ruidoso, and Tularosa. New Mexico schools provide a variety of health-related services to students. The Individuals with Disabilities Education Act (IDEA-B) and Section 504 require schools to accommodate students who have a disability and who are in need of services. The expense of these services is managed by the school districts through a combination of federal, state, and local funds. The Medicare Catastrophic Coverage Act of 1988 (MCCA) and the Omnibus Budget Reconciliation Act of 1989 (OBRA ’89) gave state Medicaid programs the authority through the Early and Periodic Screening, Diagnosis and Treatment (EPSDT) initiative to reimburse schools for the expenses of health related services including screening activities and related services provided to Medicaid eligible children as part of the Individual Education Program (IEP) or an Individual Family Service Plan (IFSP). This program does not affect the Medicaid status of families in any manner. Reimbursement Provides Health Services for all Children: Schools receive Medicaid reimbursement for providing a broad range of preventative and remedial health care services as described in a plan adopted by the State Human Services Department for the state of New Mexico. A plan to address regional health care issues was developed by an advisory group of local health care providers, students, parents, and school personnel. Federal Medicaid reimbursements provide the funding for the health related services described above. Administrative claiming allows districts to seek reimbursement for performing specific Medicaid services they provide.